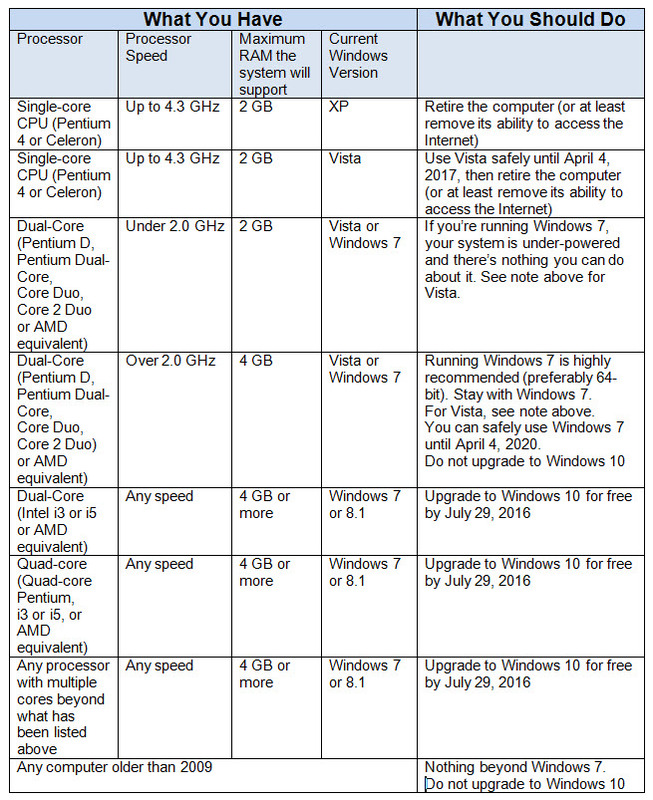 Wondering if you should upgrade to Windows 10 while you can still do it for free? Microsoft’s “minimum requirements” are not always the best guideline. This chart shows, in general terms, my recommendations. NOTE: NOBODY should continue running Windows 8.0 or 8.1 at this point, as Microsoft support for these products has ended. If you have a Windows 8 machine, do the free upgrade to Windows 10 immediately.